Does your car make weird, squeaky noises and you have no idea what’s the reason behind them? Knowing the reason behind engine noises will help you understand the mechanics of your car. The next time you hear a sound from your car, you’ll know what the reason behind it exactly is. It will help you decide whether you need to take your car to the auto repair shop or you can fix the problem yourself. 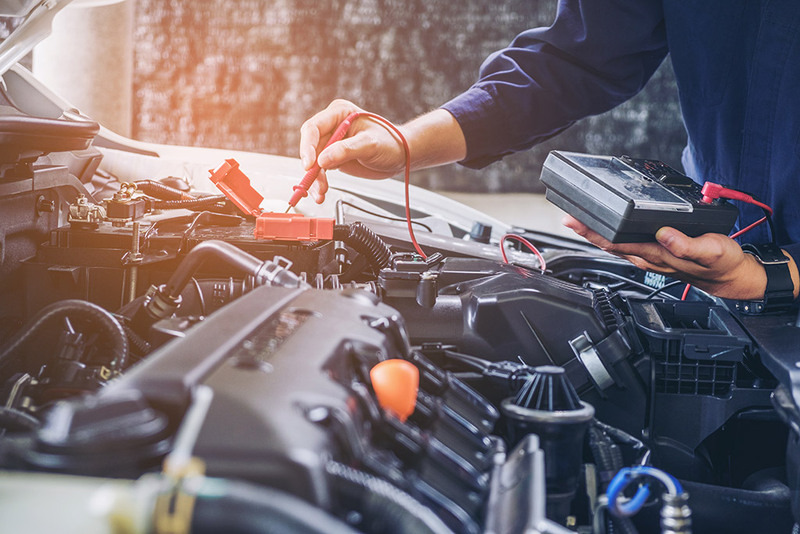 If you are unsure about the reason behind the engine noises in your car, you should contact a reliable mechanic for auto repair in Southlake, TX. When Should I Take My Car To The Auto Repair Shop? Not every sound you hear from your car is an indication that you need to take your car for a repair. If you hear an unusual sound that persists for several days or even weeks, then you should take your car to an auto repair shop. If you hear a sound which lasts for as long as a minute then you obviously don’t need to worry about it. For instance, if you start your engine on a cold morning, you might hear a clicking sound which vanishes after a while. You hear this sound because your engine oil has settled at the bottom and the noise stops as soon as the oil reaches all parts of the engine. This happens because low temperature causes the oil to thicken and settle down at the bottom. Thus, you don’t need to worry about it. To keep your car in good shape, you should get it checked regularly. You should look for a reliable mechanic for auto repair in Southlake, TX. Scheduling regular maintenance of your vehicle will keep you away from car troubles. Among many different engine noises, there are some prominent ones that you should know about. If you hear these noises for a long time, you should take immediate action. Ignoring your car problems won’t make them disappear. They will only worsen with the passage of time. Thus, you should take your car to a genuine mechanic for auto repair in Southlake, TXupon hearing the following noises. If your engine makes knocking sounds, it’s because of an ignition problem. It may be due to an imbalanced air-to-fuel mixture, faulty fuel injector, incompatible spark plugs, or buildup of carbon on the spark plugs. An imbalanced air-to-fuel mixture means that the fuel inside your engine is not burning properly. Either too much fuel is present in the combustion chamber or, there is too much air present inside. Therefore, the engine makes knocking sounds. Similarly, if you have the wrong kind of spark plugs installed in your engine or if your spark plugs have carbon deposited on them, then you will hear knocking sounds from your engine. You should consult a reliable mechanic for auto repair in Southlake, TX. They will solve the engine knocking problem by installing new spark plugs or repairing your combustion chamber. If you notice unusual grinding noises from your engine, you need to take action. Grinding noises are associated with moving or rotating parts of your vehicle. If your car has worn out brake pads or ball bearings, your car will make grinding noises. Worn out brake pads and bearings increase friction between metal surfaces hence, you hear the noises. You should take your car for auto repair in Southlake, TX as soon as you notice unusual grinding noises from your car. There are different reasons why your car makes clunking noises while driving. You must have heard this noise when you use the brakes. It indicates that you need to take your car for auto repair in Southlake, TX so that the mechanic can check your car’s brake pads and discs. Clunking sounds could also mean that there is a problem with your car’s transmission system. Low level of transmission fluid, faulty sensors, and a faulty gearbox could be the main problems with your transmission system. A mechanic for auto repair in Southlake, TX could help you get rid of these problems. If your car makes unusual noises as soon as you press the accelerator pedal, it indicates that there is a problem with your engine. Any noise other than the usual engine roaring indicates that you need to take your car for auto repair in Southlake, TX. Noises while accelerating could mean that there is an issue with your car’s torque converter, engine lubricant or the universal engine joints. A reliable mechanic will make sure that all these problems are sorted out for your car to run smoothly. There are two kinds of squealing sounds that you could possibly hear from your car. The first one originates from your car’s engine and the second one from the brakes. A squealing sound from the engine indicates that the belts which drive your air conditioning system and your power steering are slipping on a pulley. Taking your car for auto repair in Southlake, TX will solve this problem. The mechanic will either put the belts back in place or replace them. Squealing sounds coming from the brakes means that you have worn out brake pads. Your mechanic will inspect your braking system and replace your old brake pads with new ones. To make your engine less noisy, you should get your vehicle inspected regularly by a certified mechanic. They will check all the systems of your car including the transmission, brakes, and the combustion chamber. Regular maintenance of the main parts of your car will ensure that it runs smoothly. By spending a few bucks on maintenance, you’ll save yourself from everyday car troubles. Import Car Center offers the best auto repair services in Southlake, TX. Click here to visit our website and have a look at the services that we offer.